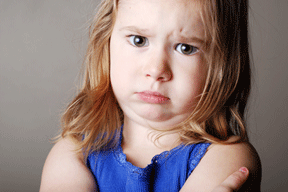 Do you struggle with your child’s disobedience? Aggression? Fighting? Tantrums? Misbehavior in public? Help is at hand! Find out how you can solve these challenging problems with your child’s behavior and prevent future problems before they arise! Oregon Research Institute is conducting a research study called the Success for Children and Families Project to evaluate a positive parenting program designed to help parents deal with their children’s difficult behaviors. The Success for Children and Families Project is for parents of 3-7 year olds who have challenging behaviors. Families who qualify for the study get to receive the Triple P – Positive Parenting Program FREE of charge. Half of the families get to receive Triple P Online, a newer version of Triple P delivered through a state-of-the-art computer program. The other half of the families get to receive Triple P in person with a trained Triple P provider. Either way, everybody gets Triple P for free! Families will also receive a total of $90 in value ($35 gift card and $55 check) for participating in the research. Through the Triple P – Positive Parenting Program, you can learn step-by-step solutions that are simple, sensible, and easily adapted to meet a variety of family situations. Click here for more information about the Triple P program. Click here for more information about who qualifies and what your participation would involve.